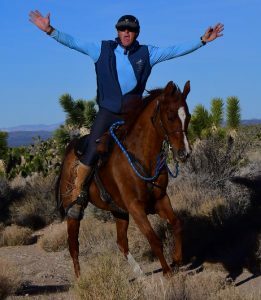 Big congratulations from Specialized Saddles to Allan Horn and his Arabian Horse Association mare Ruby (Shez Mostly Zipped) for all of their success riding in American Endurance Ride Conference (AERC) competitions! Allan and Ruby make a great team! Allan rides the Specialized Saddles Eurolight. It is light weight and comfortable for long miles in the saddle. The Eurolight also features the Specialized Saddles patented fitting system that allows the rider to adjust the saddle to fit all 3 dimensions of the horse: width, arch(dip of the back), and Angle.